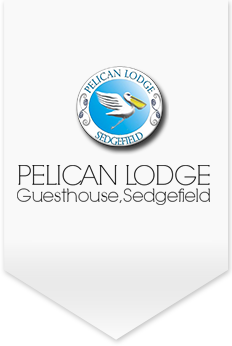 Pelican Lodge, a three-star guest lodge and self-catering accommodation in Sedgefield, is set amongst the midst of the Garden Route National Park, you will find the peace and serenity you seek from the moment you arrive. Sedgefield is an undiscovered gem, which is centrally situated in order to explore the magnificent Garden Route area. If you are an adventurer, nature lover, explorer or a sun worshiper you will be spoilt for choice in this idyllic place. The Pelican Lodge family embraces you with a warm welcome from the moment you arrive and strives to make your stay a special one. Stay in one of our deluxe rooms with a balcony, or stay in a Garden Suite for a little more space. Relax and unwind by watching the bird life busily visiting our beautiful garden. Our facilities include free Wi-Fi, a number of Braai / BBQ areas for those guests who love to be outdoors and a swimming pool to cool off in during the hot Summer days.